…just wait ’til you see the T-Shirts that were on sale at this year’s Urban Shield event. “The claim that outside agitators had been the riot’s ringleaders…reiterated that black people were incapable of acting as political subjects in the defense of their humanity and rights as citizens,” writes Steven Gregory, professor of Anthropology and African American studies at Columbia University. Although applicable to the more recent Ferguson protests, Gregory’s words reference a series of similar events that occurred in 1930s Harlem. His recollection of several white-black, citizen-police fatalities exposes the need for not only institutional -but cultural- change. Speaking of which, hopefully some of you were able to attend UC Berkeley’s forum, “Black lives matter: police violence, prisons and freedom visions” on September 19th. The event featured speakers such as CeCe McDonald, Julia Chinyere Oparah and Ashon Crawley. What can anthropology contribute to discussions of race, state-condoned brutality and violence? Pem Davidson Buck reflects on this and other questions in her post for Anthropology News, The Violence of the Status Quo. Coming in at a close second on the creepiness scale is Jaeah Lee’s post, “So Basically Everyone Killed by a Cop is a Criminal, According to the FBI” And yes, it truly is as bad as it sounds. The fact that the FBI –among other things- allows jurisdiction-by-jurisdiction variation in the definition of “felon” is among Lee’s most worrisome findings. NPR’s Gregory Warner featured an opposing view of police brutality this month. A Kenyan officer charged with the fatal shooting of two men inspired a local protest…in his favor. Find out why this instance of police brutality was “warranted” in the minds of citizens in his jurisdiction. 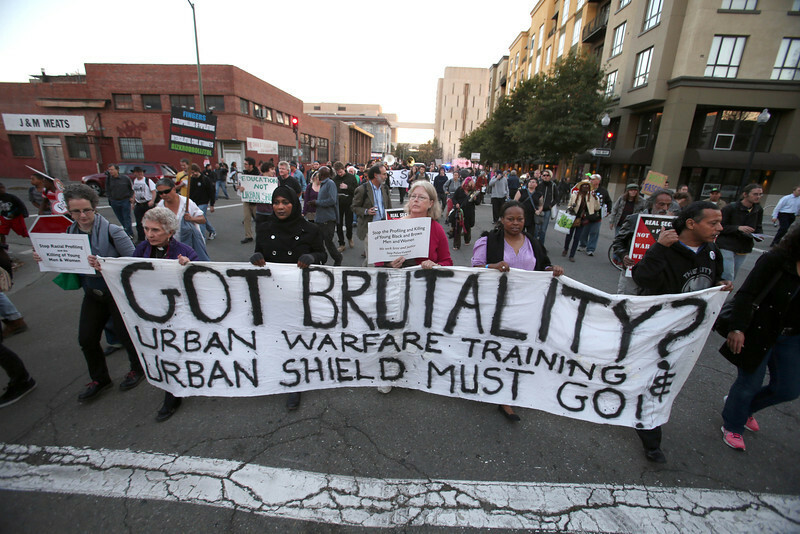 Police brutality often brings images of Ferguson, militarization and white-black violence to mind. But what about the seldom-mentioned tactic of police seizure of funds from people not charged with a crime (and without a warrant)? An engaging three-part expose about the questionable search and seizure practice is featured in The Washington Post. Phew, that was a lot of bad news. Now onto the good- the Anthropology of the Good to be precise. In the words of Professor Joel Robbins, “Consensus about what constitutes good and how we separate this from bad is hard to pin down.” Cheer yourself up by reading about Robbins’ research at the University of Cambridge as well as why an Anthropology of the Good is a necessary complement to the already prevalent Anthropology of Suffering. Also bound to make you happy is AllegraLab’s call for editorial assistants! Find out if you qualify, then send an email to their team at stuff@allegralaboratory.net before September 30th.